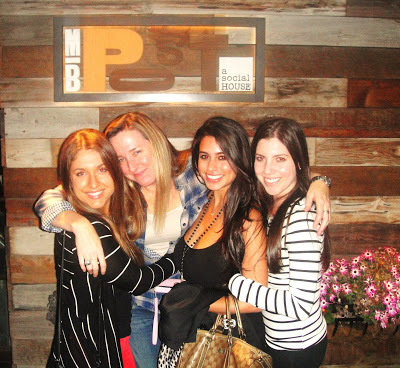 Recently I went to Manhattan Beach Post (M.B Post) for a girl dinner, located near downtown Manhattan Beach and right across from the ocean. This modern yet soulful looking restaurant was packed to the max on a Friday night. The menu is playful offering Contemporary-American dishes, with unique and fun presentations. I thought everything that we ordered was absolutely delicious. It was such a good dinner! I highly recommend this place. Not only is it a trendy and popular social scene in the Manhattan Beach area, the food and cocktails are so worth going for. MOJITO…My favorite cocktail- So good! Um, can this combination be any more amazing? Bacon, cheese, freshly baked biscuits with a sweet butter!? HEAVEN! I could literally make a meal out of this and cocktails and be thoroughly satisfied lol. Must order! Unique twist on a tuna tartare. The tuna itself was fresh and delicious, but I’m a sucker for the traditional tuna tartare with avocado, wonton strips and a drizzled spicy mayo. But this take on it was a nice change. The mixture of textures and flavors worked. I’m glad I tried it! These were delicious! It reminded me of the spicy green beans from Yang Chow (which I’ve blogged about). They were spicy and sweet and I loved the flavor of pork in it as well. This dish makes eating vegetables fun! I recommend! Giant french fries! They were huge! So fun. Can’t go wrong with this. Make sure whoever you go with are not on diets! I was practically eating all of them by myself lol. Light & delectable. Seared to perfection with a nice flavor. A very pleasant and simple dish. Rich and creamy. Loved the bread crumbs on top! I had a great dining experience at M.B Post. It was great for a night out with my girls, and the food was delicious. I left feeling so full but so happy and satisfied lol. Nothing like an amazing dinner at a great restaurant! It’s also in a really cute part of town so there’s lots to do around there when you finish eating! It’s right across from the beach…I love Manhattan!